I’m not here to bore you with the history of the 4-2-3-1. If you want to know the origins of the real life formation then go read something else. There is probably a good book on the history of every tactic somewhere. 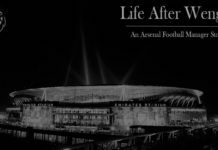 If you want the origins of my Football Manager 2018 4-2-3-1, then go read this. So we’ve got two parts to this tactical analysis. This first part is analysing particular situations we try to create and the second part will be how we create them. First, however, we do need to give a brief overview. It seems pretty obvious. A 4-2-3-1 is 4 defenders, 2 central midfielders, either 2 wingers and an attacking midfielder or 3 attacking midfielders and a striker. You might drop the central midfielders to DM as well for more defensive stability, which is quite a reasonable response. The 4-2-3-1 narrow is very strong. A strong defensive set up with the 2 DMs, if you can get your full backs crossing the ball and crowd the box out you’re probably on for an offensive winner. My preferred method, however, is as shown below. I’m playing as Sporting CP, a club renowned for producing world-class wingers such as Figo and Cristiano Ronaldo. To a lesser extent, you could include Nani and Ricardo Quaresma. Therefore it is only natural that I should be including wingers in my formation. Phase zero, for want of a better term, is when the opposition will have the ball in an attacking scenario. Typically we don’t engage in pressuring the opposition. We need to draw them out and catch them on the break for our main attack style to work. Phase Zero is the shape we set ourselves up in while defending. Some people call it short and narrow, which is getting as many of our players within the width of the box. Lots going on in this image. Red line indicates our defensive line. 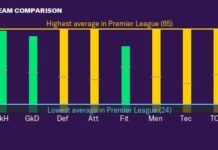 The black box indicates our strongest area of defence. The red circle is the only place we are actively engaging the opposition – the ball. The black lines show where we can pressure if the ball is recycled. Red lines are showing who is who. This requires us to have a defensive shape we return to immediately or as quick as we can. Here we are about to lose the ball from an offensive throw-in. Six seconds later, we have already got back to our phase zero shape. We achieve this by telling our entire back four to close down much less and telling our midfield duo to close down less. 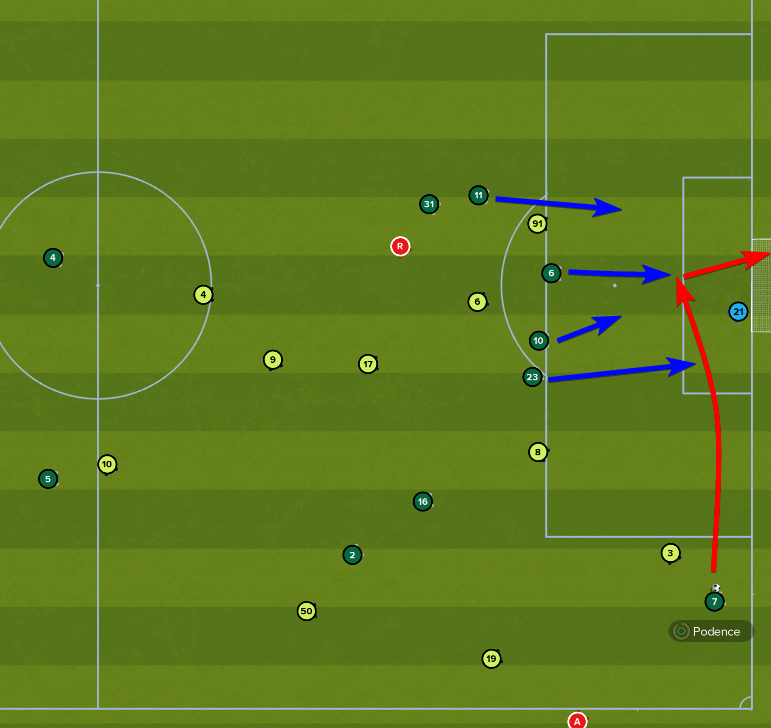 This occasionally makes us completely passive, if the opposition wants to play the ball around. However, the most dangerous area they can be in is out wide. If our wide players have a high enough work rate then they should track an offensive run from opposition fullbacks and this helps to nullify that threat. 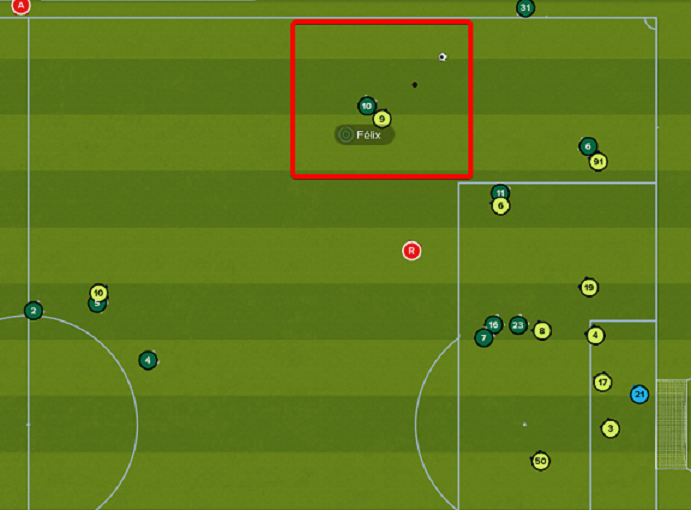 The only passing option is a switch across the pitch into the central area or to their left flank. It takes time to switch the ball so we can easily readjust to counter this. The other danger is if they get the ball central and turn for a long shot. This is a low percentage chance shot, however, and so I’m not too worried by these chances. 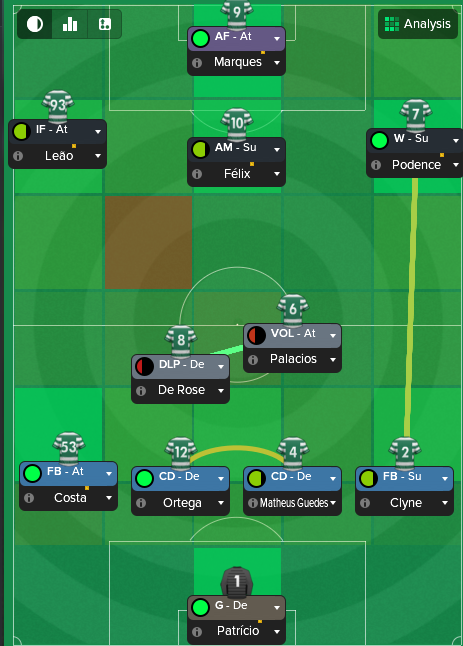 I have been toying with the idea of setting my wide players to man mark the opposition full-backs, but then I feel this may make us too structured. Our defensive shape is already extremely structured, and I don’t know if bringing my wide players into that shape will disorganise it. 13 seconds after the last image, they have switched the play. Xavier has no immediate passing options, thanks to our 7 and 10. The only real option is a diagonal ball into the box. For Chaves’ #10 Arango to get on the end of. The ball needs to be pinpoint perfect for Arango to get a good shot off, if he doesn’t stray offside or the cross is blocked. No passing options nearby, and a strong shield in front of our defence. In the end, the latter event occurred and Chaves win a corner. So to recap. 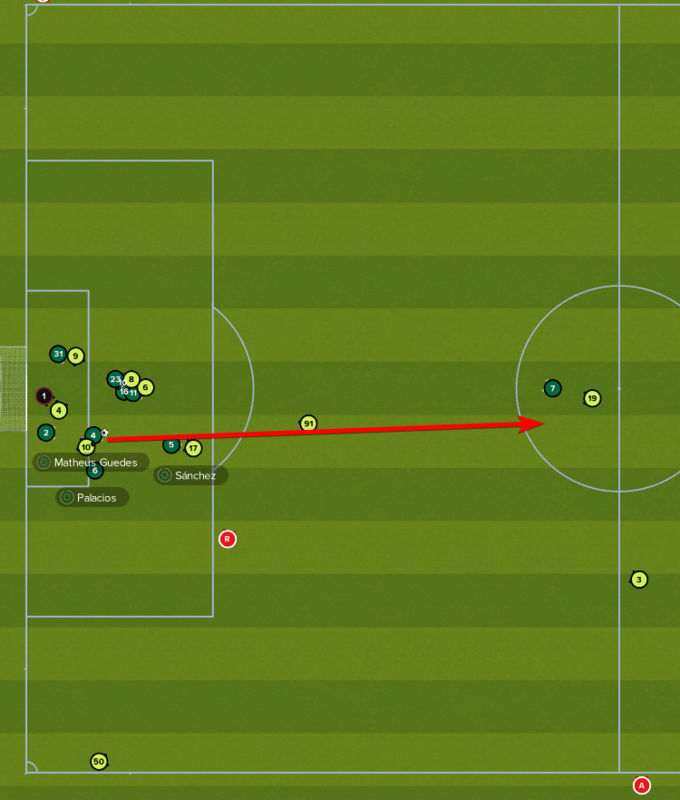 This whole move began at 03:37 with our offensive throw in being lost. 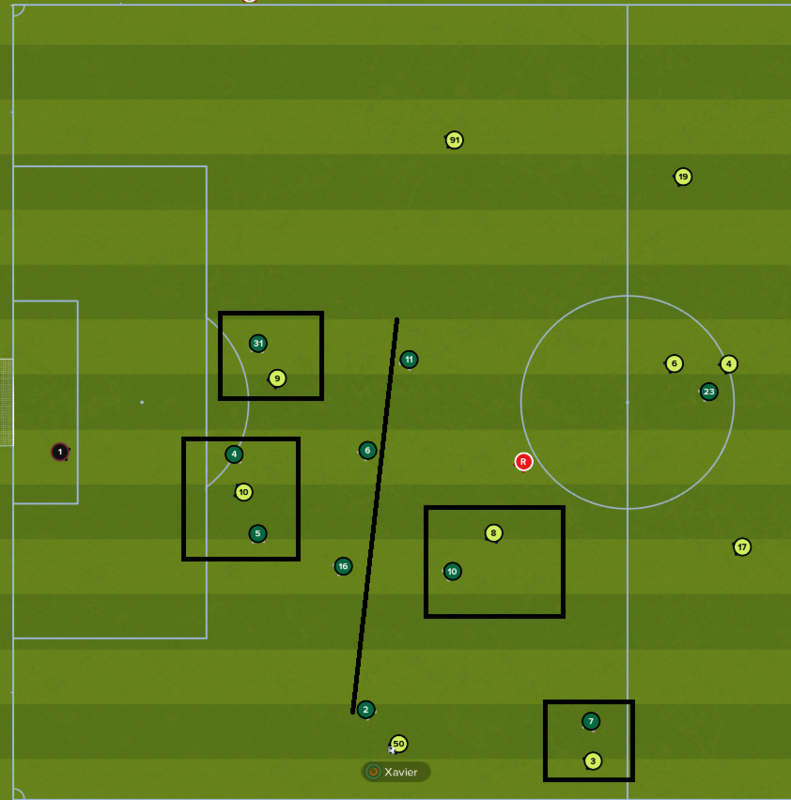 Within 3 seconds, we had reassembled our defensive shape and stopped the counter-attack after 6 seconds. If that isn’t efficient for our style I don’t know what is. This is obviously not the most ideal scenario. We needlessly lost the ball from a throw-in upfield and conceded a corner, but it shows perfectly what I aim to achieve. An ultra-quick defensive transition into our defensive shape which retreats together as a unit as and when required. Phase 1 is transitioning to attack. Doesn’t matter how or where we win the ball back, we transition quickly up the field in the same manner – via a wide player. Phase 1 also includes counter-attacks as the premise behind a counter-attack is that the time between us winning the ball back and us shooting/scoring should be minimal. We shouldn’t have time to set up for sustained attacking. This time, we transition from the corner Chaves won in the last section. A long clearance upfield allows Podence to collect the ball. #7 isn’t the ideal target man for this job, but it needs to be someone who can hold the ball up and beat his man if he can get on the end of the ball. Now we move. Podence, our AMR and winger sprints wide right, dragging the opposition RB and LB, Mesquita and Breno with him. The clearance happened on 04:25. 10 seconds after this clearance, we have Podence 1v1 on the wing and five players attempting the get forward into their box. 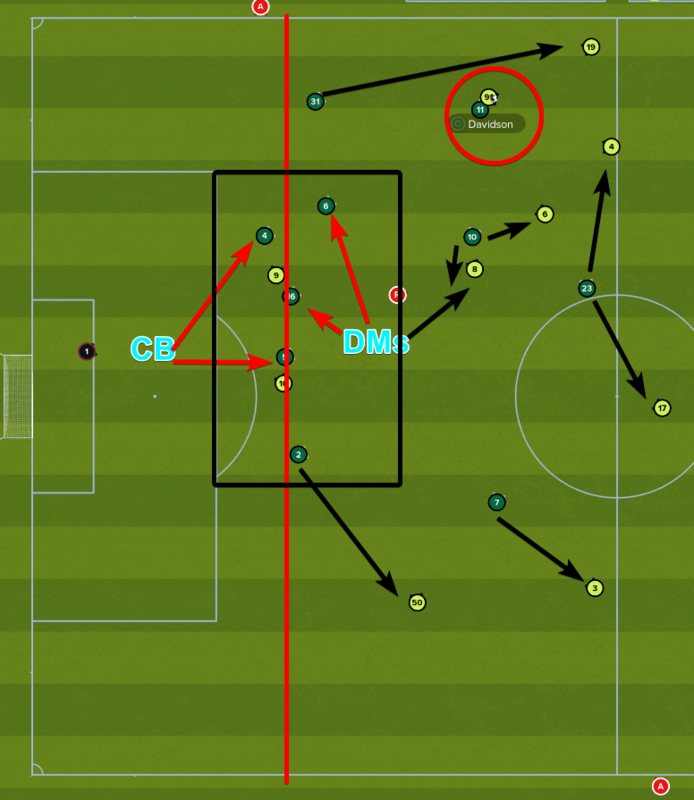 Isolating our winger 1v1 is always top priority. The counter-attack is well and truly underway. If Podence beats his man quickly then he is almost guaranteed a free cross into the box. On 04:37, Podence has beaten his man and is in position to cross. Four players arrive in the box for a cross which Palacios dispatches. The amount of players pushing the box here is incredible considering the opposition haven’t got a single outfield player in there. The cross, if it stays away from the keeper, should be a sure thing to hit one of our players. This transition does not work without aggressive support from our team. 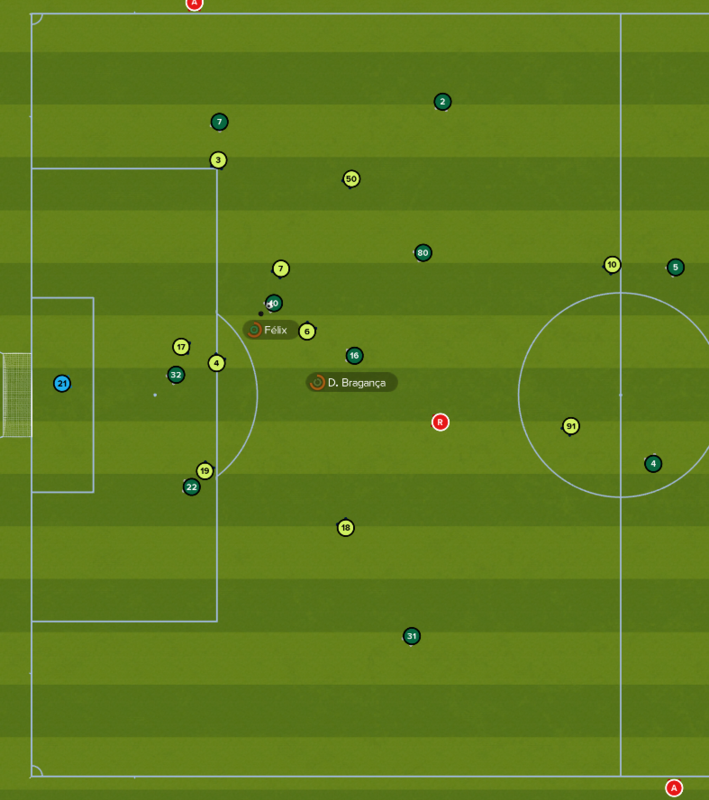 Previously, I had been playing our attacking-midfielder on attack, but found him out of position when defending. He would almost be in line with our striker in Phase Zero. The support role provides less intensity but does allow him to get into the required defensive shape. This does leave us with less penetration going forward, however, so it is a balancing act. Phase two is the sustained attacks we produce. This is where we are weakest. We struggle breaking down teams once they sit in deep against us. In fact, it is rare we ever hit phase two. Our attacks lose edge once we get our foot on the ball and have to wait for the right chance. We are always better off trying to isolate out wide and go for the quick cross. From this area, Felix SHOULD have plenty of options moving ahead of him. This is not the case regularly enough though. #7 Should cut inside the full-back. #16 should push forwards into the box. Felix himself could just dribble into the box for a higher-percentage chance. Our sustained offence usually involves losing the ball after a player lacks options to pass. This is a big flaw in the tactic. If we provide more support via the midfield we are weaker defensively and too aggressive in our positioning and pressure. Switching roles or mentalities around doesn’t seem to affect this issue in a positive manner. It will be fixable, but I haven’t found it yet. This is the biggest issue against mid-table teams in the Portuguese Premier League. Teams with just enough quality to not get beaten 1v1 every time, but not enough quality to want to actually attack me. Next time, we talk about my choice of roles and instructions in creating these situations. 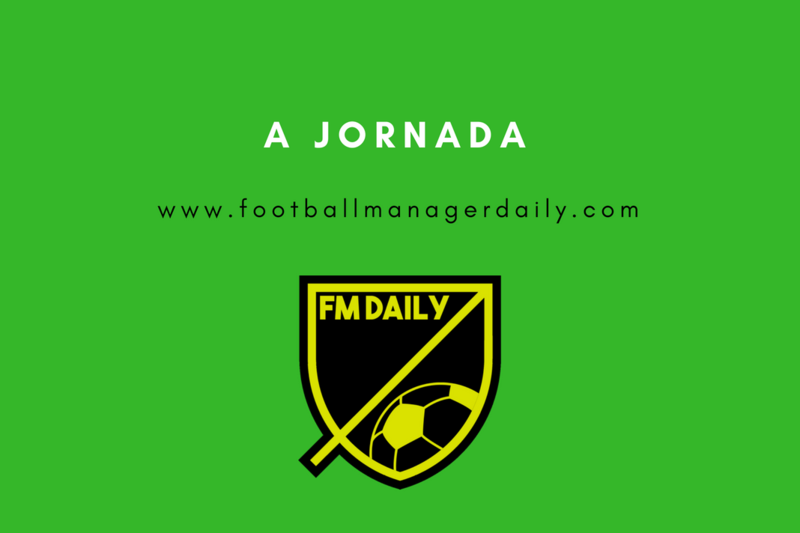 More analysis can be found here on Modric or Pogba.